Tired of endless email threads and playing phone tag with coworkers? As it turns out, simplifying your modes of communication is one of the easiest ways to make teamwork less painful. If you incorporate these five easy-to-use tools into your collaborative workflow, you’ll have your group performing at maximum potential in no time. 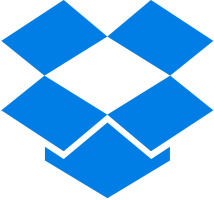 If you find yourself constantly bemoaning the file size limit for major email providers, Dropbox is your answer. Better yet, there’s no additional wait for sharing larger files in comparison to smaller ones—nor are you limited to a certain file type. Scrap the everlasting cycle of back-and-forth emails of the same document in favor of Dropbox’s shared folders, which automatically update any edited files. If a coworker ruins your hard work (or worse, deletes it altogether), return to an earlier copy with the 30-day version history backup. Offline access guarantees that you can keep working even if your wifi connection doesn’t, and integration into existing workflow is simple with options for over 300,000 third-party apps. Another cloud service, you say? There’s a reason Google Drive is on this list with Dropbox, and it’s realtime updates. If a project has a close deadline and you’re worried about simultaneous edits to a document resulting in conflicting copies, consider using Drive to resolve the issue. Multiple users can make changes to a document at the same time using Google Docs, streamlining the collaborative process and saving valuable time. You’ll also have access to a complete edit history and, as with Dropbox, you can always return to an earlier version of your document if needed. Most of us have used Skype at some point or another for social purposes, but this video chat service also has a number of applications on the business side of things. If you work remotely, of course, Skype can add a visual component to your business calls. Another great business-oriented feature of this service is the option for screen-sharing. This tool makes Skype ideal for long-distance presentations, giving a colleague the lowdown on a new application, or resolving IT issues. 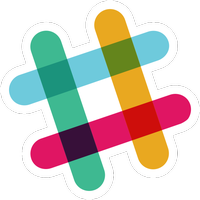 For general communication needs, give Slack a try. This team-oriented instant messaging tool is great for everything from conversing about specific projects to sending lines of code. Your searchable conversations are conveniently organized into topic- or group-specific “channels.” Users can also send direct messages to individual colleagues, create private groups separate from the public channels, and drop files within the context of conversations. Slack integrates easily with Dropbox and Google Drive. 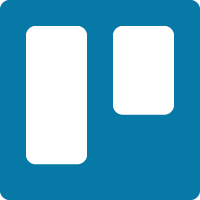 Trello is a project management tool that employs a handy system of “boards” and “cards.” Users can invite their team members to view and edit a particular board, and the comment section creates a space to clarify assignments and provide updates on the relevant project. Checklists and due dates ensure that everyone is familiar with the ins and outs of the assignment, and the labeling and searching capabilities guarantee that you won’t lose a single card. You can even use emojis, if that’s your thing. Best of all, Trello provides integration options for Dropbox, Google Drive, and Slack.